This week, we deliver to weekly Early Summer Vegetable and Fruit Share members. This is the last week of Early Summer Shares. Next week, we will deliver all Late Summer Vegetable, Fruit and Egg Share members. Please watch your inbox for our Late Summer informational email later this week. Good morning from the farm! When it's been a dry July, there's nothing that makes farmers smile more than last week's rains. We call them "soakers" -- the slow, ongoing gentle rains that leave soils in place, keep lettuce leaves whole and beautifully crisp, and bring out plenty of frogs, toads and worms on the farm roads. 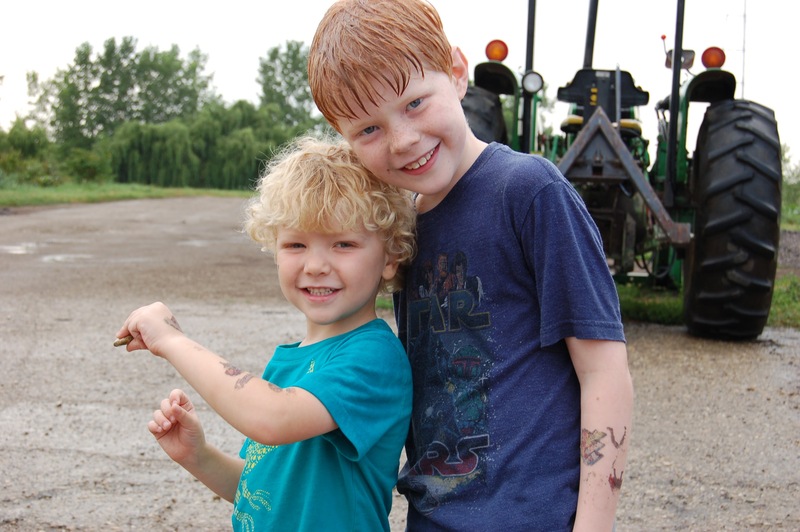 Ever since the boys were little (as evidenced in this old picture), they've always enjoyed lifting the animals off the farm roads and puttting them back into fields so they don't get hurt by farm vehicles. 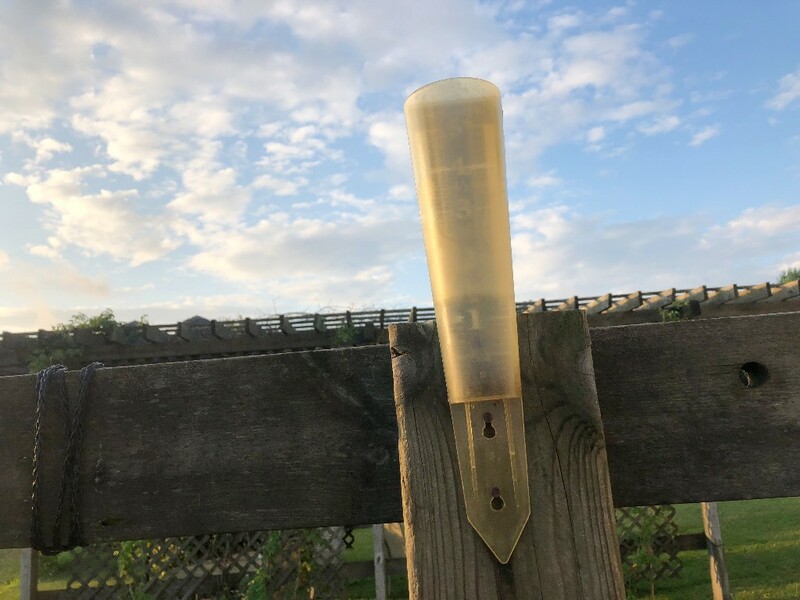 I looked up at the old, dirty rain gauge set against a blue sky to see that the rainfall was substantial enough to keep the soil moist for a few days. Whew! Jeff enjoyed a reprieve from the vigilant watering routine we've kept in July and early August. Plus, we enjoyed two evenings of stunning sunsets and rainbows. When we get too much or too little rain, it is felt acutely by our field crop plantings. However, our hoophouse plantings endure less of the stresses than field plants (e.g. water, wind, animal pressures). Last winter, Jeff spent hours learning, reading and rethinking our approach to hoophouses. 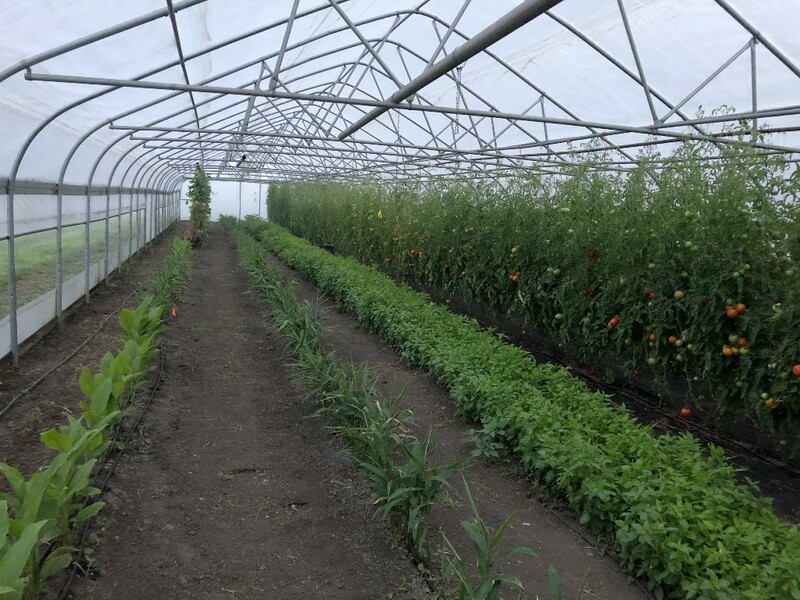 We added more fertility within the soils, tried new approaches to layout and trellising, and selected new crop varieties that thrive in the hoophouse settings. His work paid off with our thriving hoophouse tomato, basil and cucumber crops as well as some very promising fresh ginger and turmeric plantings that look like they'll be ready in September. Thank you to all of our Early Summer Share members for your ongoing support and joining us in the seasonal eating. To our continuing and new Late Summer members, we look forward to growing for you! 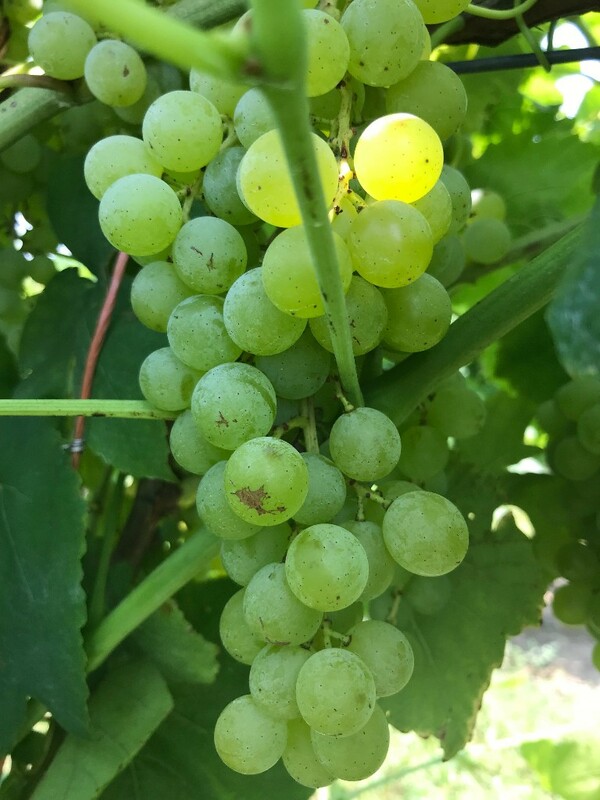 These beautiful pictures (courtesy of our friends at Mick Klug Farm) demonstrate the variety of grapes that the Klugs grow in St. Joseph, Michigan. 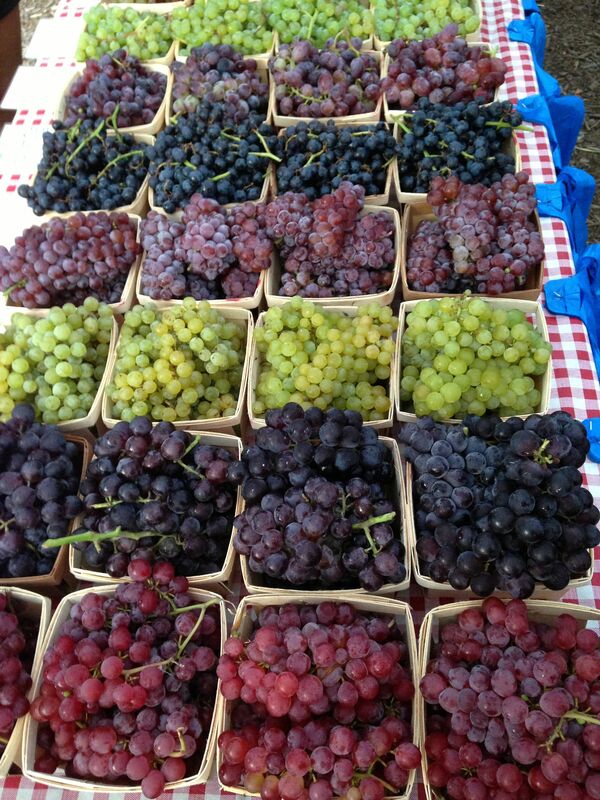 From seeded to seedless, dark reds to light greens and all the hues in between, we always enjoy the arrival of the Klugs grapes -- they are truly unmatched in their flavor. This week's shares include both red and green grapes, which are best stored within a plastic bag with minimal ventilation. Wash the clusters right before eating. The Klugs are committed to sustainable agriculture and promoting locally grown produce. They use a growing system called Integrated Pest Management (IPM). Farmers who use the IPM approach conduct extensive monitoring of insect and disease problems to ensure that a synthetic pesticide or fungicide is only used as a last resort and only in the smallest quantity necessary. This approach minimizes the impact on the natural environment. 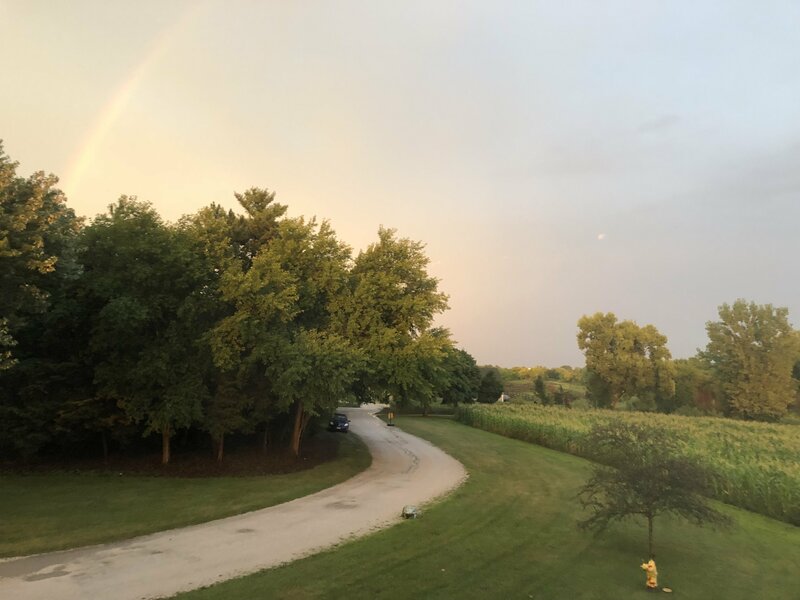 If you're interested in seeing Mick Klug Farm in-person, the Klug/Schillings would like to invite you to their Peak Season Celebration Farm Dinner to benefit the Chicago Green City Market. The event takes place Saturday, September 8th starting at 4pm. 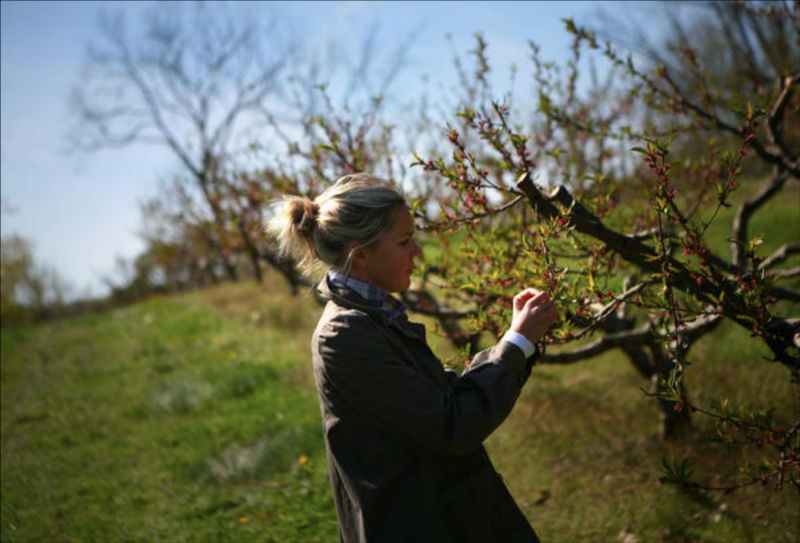 The event features a 3-course seated, family-style dinner by star Chicago-based chefs amidst the farm orchards. Tickets include a farm tour, wine and beer, appetizers on arrival at the farm and an optional pre-departure reception at Green City Market in Lincoln Park and shuttle service to the farm. For more information and tickets, please click here. Peach and Tomato Salad – This is a great, simple recipe. I’ve made similar versions with cilantro and scallions. Thank to CSA member MaryAnne for sharing this recipe. Simple Sautéed Cabbage - I like making this as a bed to German or Polish sausages -- it reminds me of meals my German grandmother made us! Next Week's Harvest (our best guess)... bok choy, poblano peppers, grapes, lettuce, tomatoes, parsley and more! Sign up to receive farm news, produce availability and learn of upcoming events. 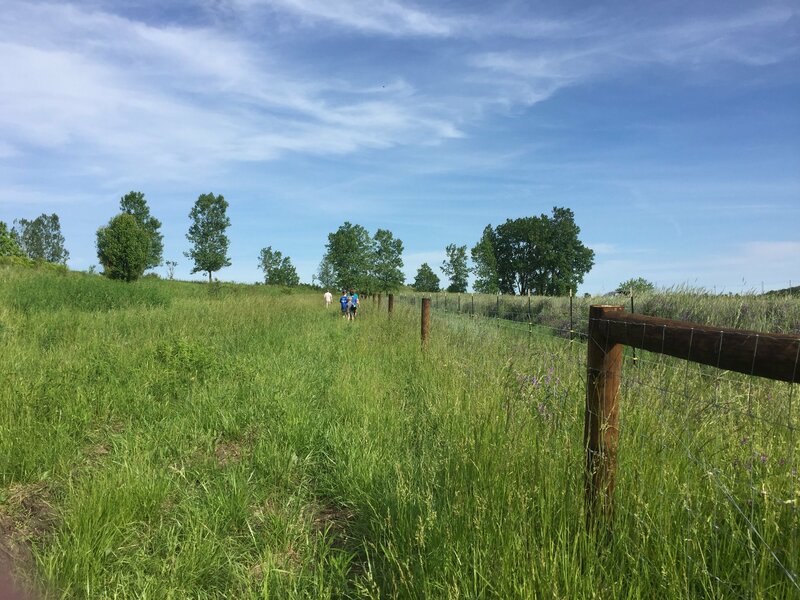 Prairie Wind Family Farm is a certified organic family farm owned by Jen and Jeff Miller located within the heart of Prairie Crossing, a conservation community in Grayslake, Illinois.